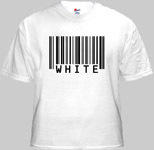 Express your outrage by appropriating the symbol of commodity; and still look cool. 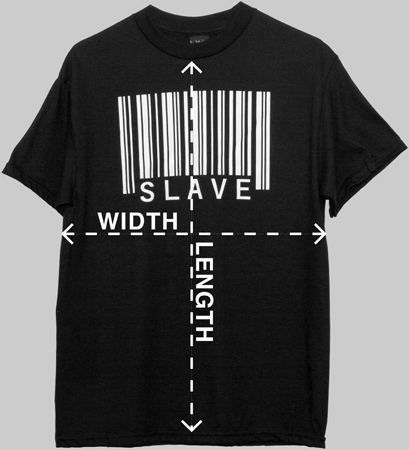 Barcode "SLAVE" graphic silkscreen printed on 100% cotton t-shirts. Available in men's sizes Small to X-Large. 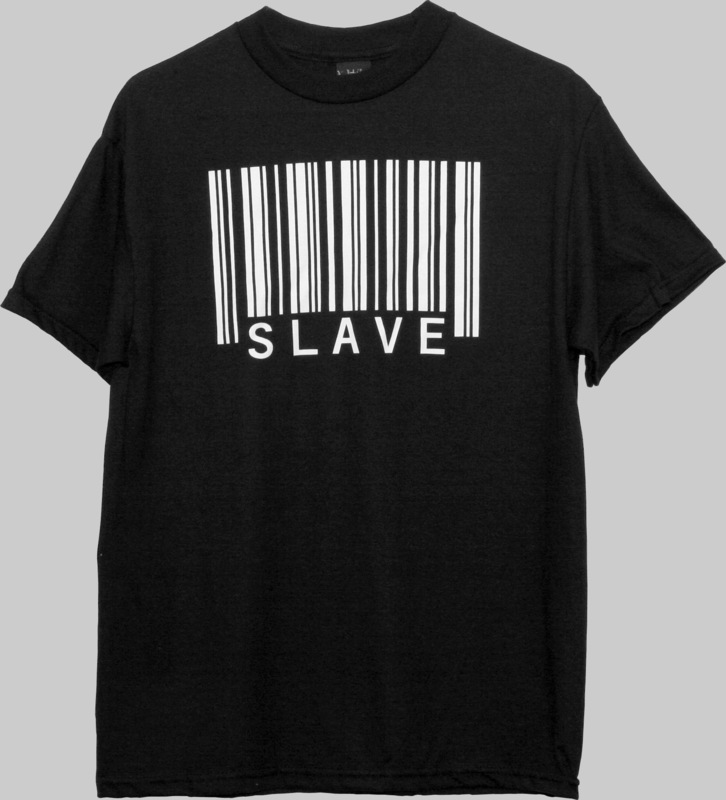 In stock and ready to ship today. 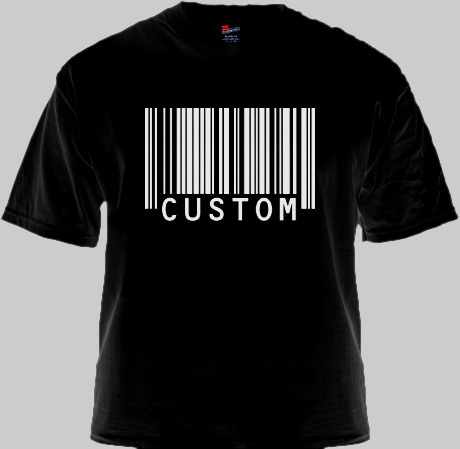 Personalize this barcode t-shirt with your name, birthday, or any other saying up to 17 characters long. Letters, numbers, and spaces are acceptable for the custom phrase. 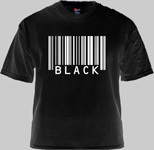 The barcode image is digitally printed directly on 100% cotton shirts. 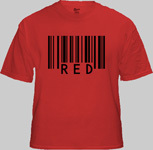 Available in men's sizes Small to 3X-Large and in four colors white, red, blue, and black.